Welcome to the website of the Monterey County Fire Training Officers Association. Our goal with this website is two fold. 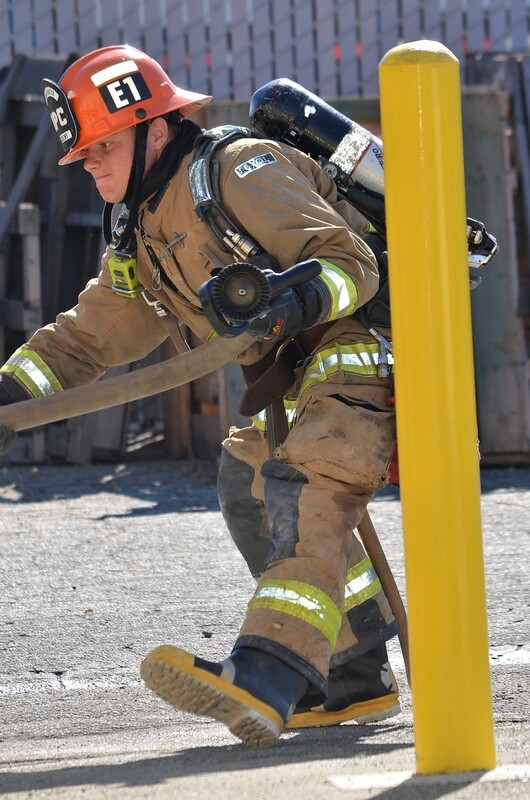 First, our desire is to assist members of the fire service, and fire service candidates, in receiving up-to-date training that meets their individual training needs. Individual training and continuing education in the fire service is a vital component to a successful fire service career. Secondly, we wish to assist fire service agencies in meeting their overall training objectives. We hope to accomplish this by linking fire service agencies with the resources, materials, and opportunities they need to have a successful training division with measurable results. Fire service training is continually evolving. A variety of improved delivery methods through new technology has opened many doors and provides new opportunities that were not possible in the past. Our desire is that this website will capture these new technologies and make them available to all members of the fire service. The Monterey County Fire Training Officers Association (MCFTOA) has supported and provided fire service training in Monterey County for over forty years. As a standing committee of the Monterey County Fire Chiefs Association, the MCFTOA has hosted numerous classes over the years on many fire service related topics. Recent classes include S-404 Safety Officer, S-234 Ignition Operations, practical Auto Extrication Techniques, Peer Fitness Trainer Certification, The Charleston Report, PC 832 Reserve Officer Training, S-440 Planning Section Chief, Elevator Rescue, The Cutting Edge Command Officer, Certification Track Update, Off-Road Driving Skills, in addition to annual live-fire wildland firefighting training at Fort Hunter Liggett. In supporting individual personnel training, we recently provided scholarship opportunities for Monterey County fire service personnel by covering 50 % of the registration fee for selected classes, and offered full class reimbursements for up to (5) individuals from each Monterey County fire agency for flood and swiftwater awareness training in preparation for the 2015-2016 El Nino event. Believing in the importance of formal pre-service and continuing education, the MCFOTA has maintained a long standing partnership with Monterey Peninsula College and the California Fire Academy at Monterey Bay. The MCFTOA serves as the MPC Fire Technology Advisory Committee and many members of the fire service in Monterey County are Instructors with MPC’s Firefighter 1 Academy. The California Fire Academy at Monterey Bay is operated through Monterey Peninsula College located on the former Fort Ord Military Installation at the Monterey Peninsula College Public Safety Training Center. For more information on the Firefighter 1 Academy and the California Fire Academy at Monterey Bay offered through Monterey Peninsula College, click on the “Monterey Peninsula College” tab to the left. Membership in the MCFTOA is open to both active and retired emergency services personnel in Monterey County. Our goal is to have 100% participation from every fire service agency in Monterey County. Click on our “Membership” tab for more information on membership opportunities including a membership application, meeting schedule, and corporate bylaws. We hope this website helps you meet your individual and department training needs. Please feel free to contact us at mcftoa@gmail for any training related information you may need or any suggestions you have to improve the delivery of fire service training in Monterey County.